Mexico is often overlooked as a source of animation, though I have written about it once or twice before. There are no borders when it comes to animation; it just requires skill, dedication and creativity. 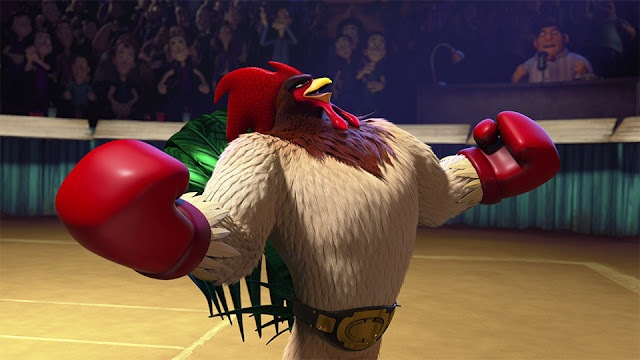 Released in early September 2015, a satirical CG-animated film from Mexico titled "Un Gallo Con Muchos Huevos" ("A Rooster With A Lot Of Eggs") became a surprise hit at the U.S. box office. 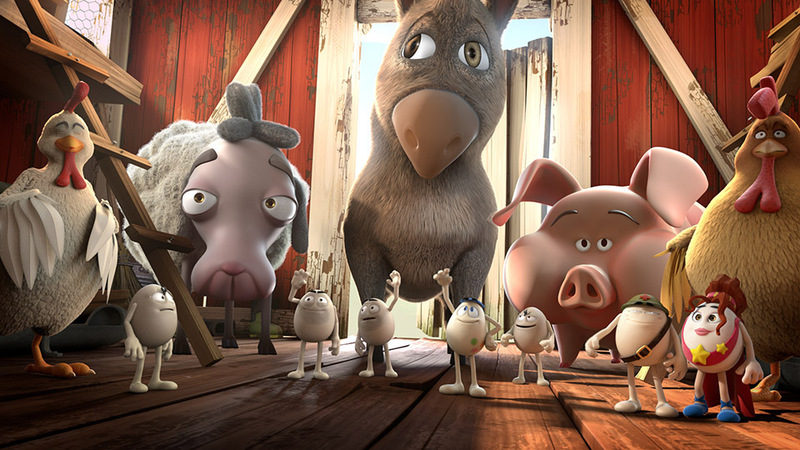 As reported on 14 September 2015, the 3D animated feature film in Spanish film opened in 10th place in the U.S. with a domestic gross of $4.8 million. To date, two months later, it has grossed over $9 million in the States and an unreported amount - probably a lot - elsewhere, including Mexico and Spain. Not too shabby for a film most Americans had no idea existed. The total was earned at only about 400 U.S. cinemas nationwide, too, which makes the size of its surprise hit even more unusual. In fact, it is the first Mexican animated feature to open in the United States with a limited theatrical release, and is paving the way for others. The film was produced for about $5.3 million and distributed by Pantelion, a partnership between Lionsgate Entertainment and Grupo Televisa. It already is a financial success. It was a smash hit in Mexico, where it opened on 21 August and held the top spot at the box office for three weeks. Additional international releases are scheduled for Russia, Europe and Latin American. It really shouldn't have come as much of a surprise, though. The property has a relatively long history in Mexico, where it is quite popular. The marketing there includes a successful website, merchandising and a pair of 2D animated features. In fact, its origins are from the website, not vice versa, which makes the entire process even more unusual. 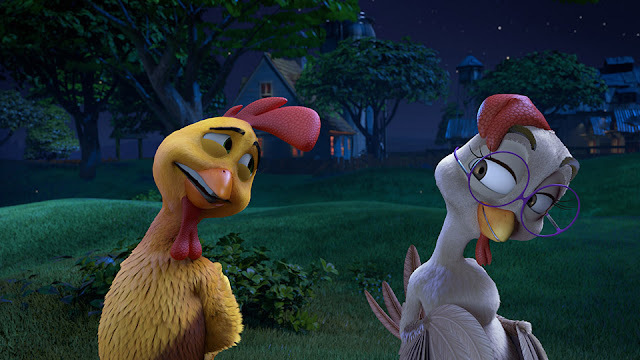 The site, "Huevocartoon," was created by brothers Rodolfo and Gabriel Riva Palacio — who wrote, directed and produced "Un Gallo" — as a satirical site somewhat similar to The Onion. 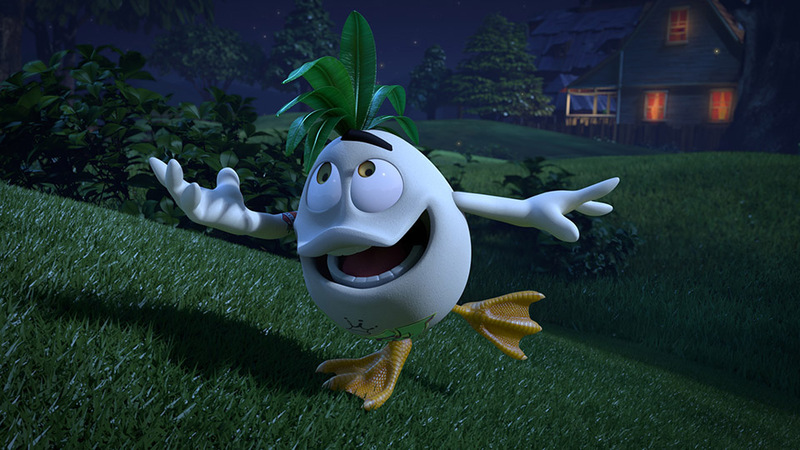 The uniqueness came from portraying the satire in the form of eggs. Just as in America, "Huevos" has the slang meaning of "balls," and you can conclude for yourself why a satirical website would choose that particular image, and why the titular character might have a lot of them. 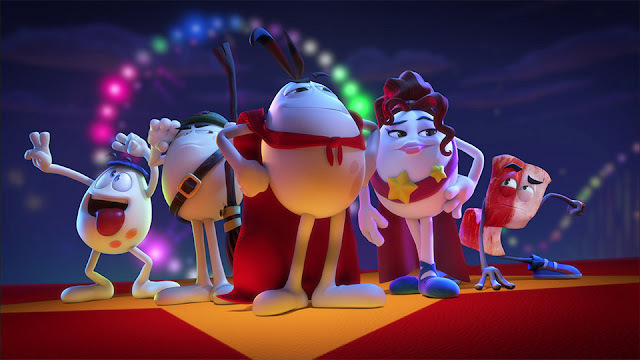 The brothers quickly formed a company, Huevocartoon Productions, to put out a successful line of merchandise. 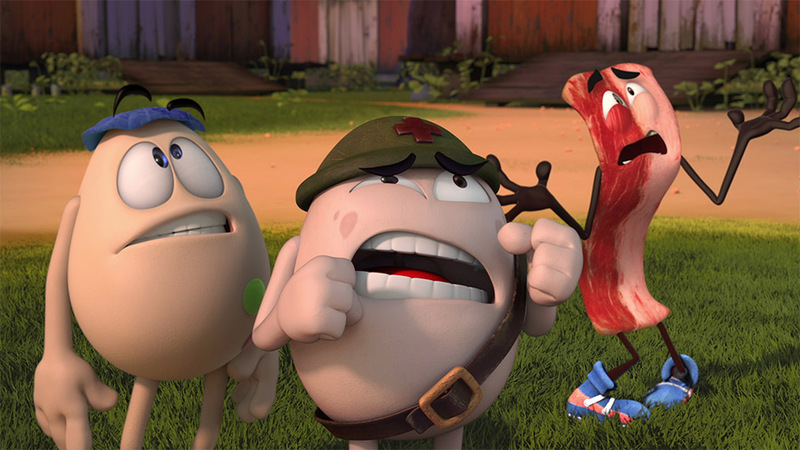 Videocine, a division of Televisa, approached Huevocartoon about doing a standard 2D animated movie. 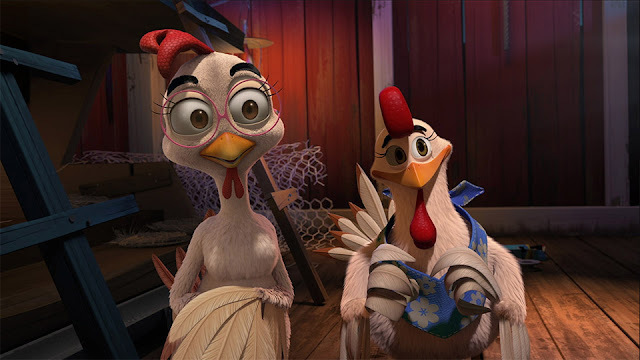 "Una Pelicula de Huevos" ("A Movie about Eggs") came out in 2006, followed in 2009 by "Otra Película de Huevos y un Pollo" ("Another Movie about a Chicken and Eggs"). Both were hits in Mexico — Riva Palacio says the first movie was the second-highest grossing Mexican film of all time when it was released. Its success was exceeded by the sequel. Release of the first two films were limited to Spanish-speaking markets. The next step was to go global. Videocine, Pantelion and the government provided funding to make the project a possibility. 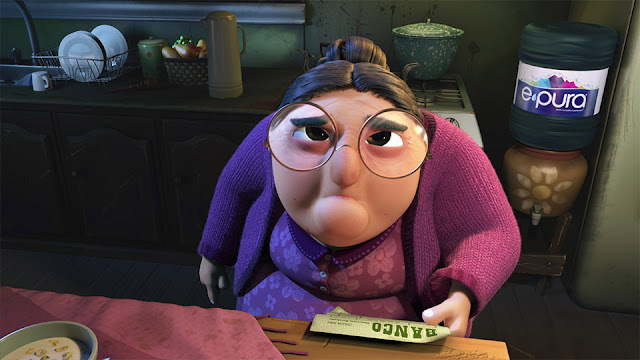 The brothers had to learn how to do CGI, and then production took about 2½ years and involved 120 artists. Much of that time went into developing the story. Expense was always an issue, so the company developed its own software. The talent is primarily from Mexico, where there is growing interest in animation, though the brothers themselves studied in the U.S. Pantelion was formed by Televisa and Lionsgate in 2010. It was a new direction for Lionsgate, which does not have much animation experience and is more known for its teen dramas like "The Hunger Games" and "Divergent." The brothers’ relationship with Televisa and its Videocine division opened the door for the deal with Pantelion. The film was targeted at Spanish-speaking markets in the United States due to cost factors. However, there is an English-language version of the movie that likely will get a home-video release. And, yes, there is a sequel on the way. Rather than for me to try to translate the humor, just watch the official trailer and see if it is your cup of tea.